Unique and beautifully handcrafted Spiral dangle earrings by Brighton Jeweller Sophie Saunders. 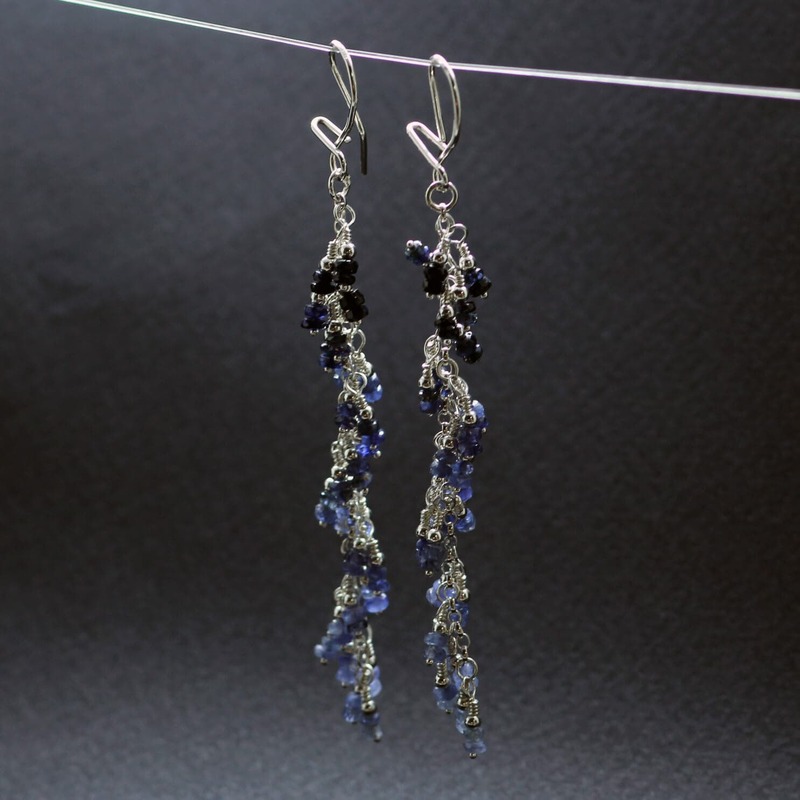 This lovely Spiral dangle beaded earring design features a beautiful array of Blue Sapphire gemstone beads which are hand strung with solid Sterling Silver to create a kinetic design that sparkles and comes alive with movement. This piece is finished with solid Sterling Silver hooks suitable for pierced ears.